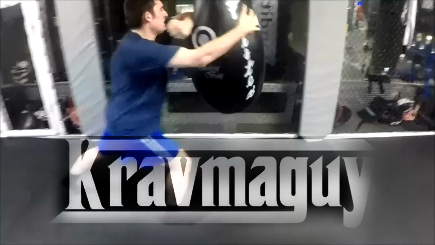 Short video of some light to medium intensity sparring @575 Lexington NYSC. Short Video showcasing a basic striking kata. Notice the body mechanics used for creating power when striking. Notice how the weight is thrown into every strike, using the hips for torque in order to strike fast, effectively, and with maximum damage. Notice the Jon Jones style open handed fingers to the eyes in between the strikes. Kata used: jab cross hook elbow knee. Short video showing Abe hitting the speed bag at real speed and then in slow motion. In this video we see a beginner escaping a rear bear hug hold during a live multiple opponent sparring session. 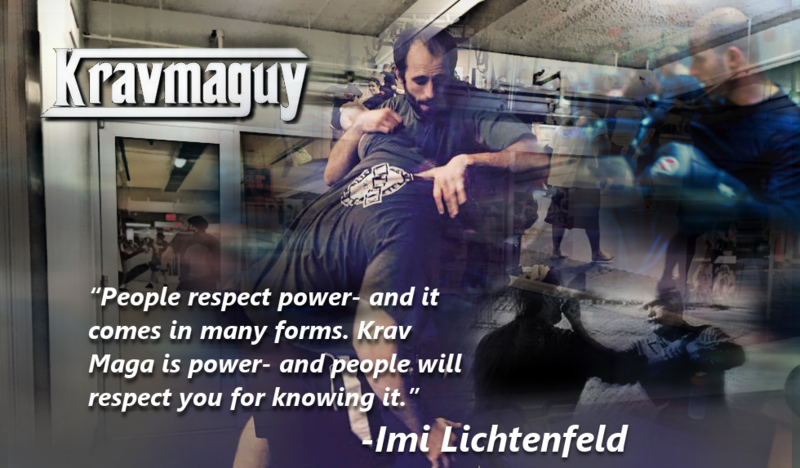 The technique is to drop your base, grab control of one hand, then throw controlled backward elbows to the temple of the attacking bear hugger. Force is generated by setting a base, creating distance and using full range of motion in the hips and throwing your weight behind the elbows. As seen in the video the extra pressure of a third opponent can make beginners nervous, causing them to flail and sometimes deliver less purposeful strikes. The end result is the same. Although under pressure, the novice was still able to employ the technique learned in class to help break the wrestling hold, avoid being trapped, and further mauled. 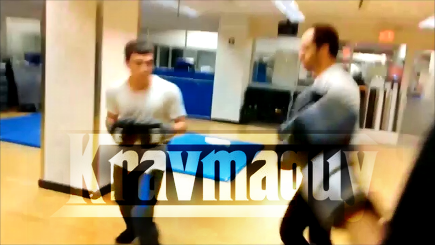 Vídeo de corta duración presentando escenarios de combate con múltiples atacantes en una clase de entrenamiento en Krav maga: Jueves de Agosto de 2016 en NYSC , 51 y Lexington . Short video displaying some mid intensity sparring with multiple attacker scenarios from an August 2016 Thursday sparring group class at NYSC, 51st and Lexington. En este video de 60 segundos, vemos la transformación de un estudiante. 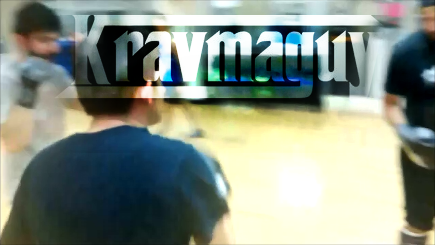 Krav Maga , en otras palabras, pelea y contacto, se hace más natural para él . Por otra parte , las pegadas se hacen mas fluidas, y la congelación antes y después de las pegadas se produce con menos frecuencia . 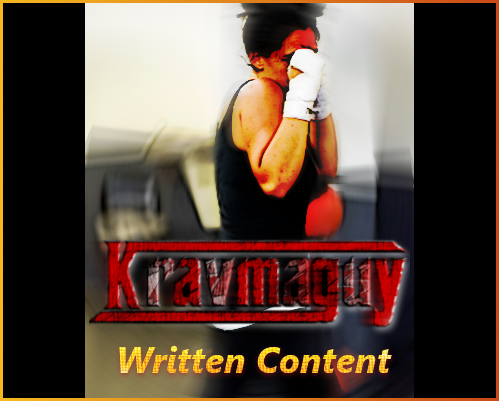 Concise video outlining the progress of one of Kravmaguy’s students over the course of ten months. In this 60 second student progression video, we see the transformation of a student. 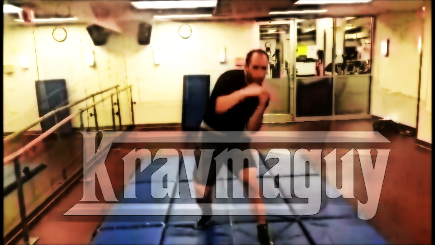 Krav maga, i.e. contact fight, becomes more natural to him. Moreover, striking becomes more fluid, and freezing before and after strikes occurs less often. Tonight’s class was led by assistant instructor Keith; he started with a warm up of squats, push-ups, and the plank, which works on the core strength of the abdominal and back muscles. Afterwards, we learned the technique where instead of the jab-cross with fists or open hand, we formed a C with our Jab hand going for the throat/Adam’s apple area where in a real situation, it would be used to strike the throat. The follow up is a head clinch and knees to the face, or groin. We then practiced some ground techniques where the defender is on his back and needs to protect against an attacker trying to apply a headlock. We practiced first blocking the headlock attempt, using framing, and then by allowing the headlock to fully take place, and trying to escape using framing and other techniques. There was a student who didn’t feel like participating in the ground technique, so we took turns showing him how to do proper squats, jabs, crosses and foot movement. The class ended with a nice round of stretching. Warm up:We began with a low impact warm-up : squats, lunges, knife hand pushups, planking, leg outs, sumo squats,etc. Striking Combination: Jab cross, Hook. Emphasis on synchronized upper body and lower body as outlined in body dynamics 2 post and content. Conditioning: Did same combination above but repeated 3x moving forward, then fingers to the eyes while moving backward. Did this for 10 minutes. Kata/Partner Exercise: Did partner exercise featuring all open handed strikes in the following sequence: Jab, Cross, Hook, Jab, Jab. The student receiving the strikes practiced defending the aforementioned strikes with their elbows by simulating that they’re slicking their hair back(à la James Dean) with both arms bent, with minimal motion to intercept the strikes. Knife Defense: Attacker comes toward your neck with a downward stab: you burst in with one arm to the attacker’s live side, deflecting the knife, while simultaneously striking with the other arm to the face/neck area. Furthermore, closing the distance between the attacker tightly enough to limit the knife wielding hand, following through with knees to the groin and downward elbows to the back of the neck.